Stamford is no doubt one of the most economically thriving areas in the state; most companies in the city were named recently by The Hartford Business Journal’s Best Places To Work in Connecticut for 2014.Setting up a new business venture in the area is quite difficult but a good location can be just the thing that could give you the edge from other businesses. A great location that has everything you need to run a business – whether it is the simple things like furniture, or technology and accessibility – can mean all the difference. 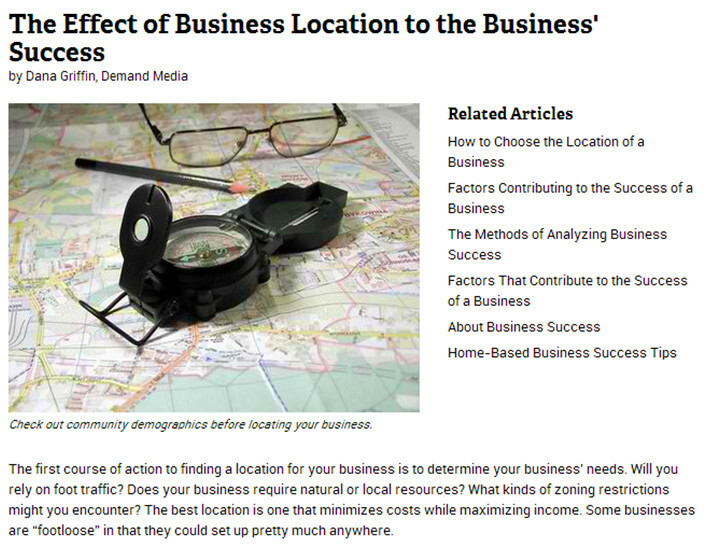 Choosing the actual business area contributes to the bottom line. Consider traffic patterns and accessibility for both customers and employees. Consider too that even if a location does not have specific zoning, there may be covenants and deed restrictions on the location you choose. Once you’ve chosen the general area, you’ll need to determine what kind of space you’ll need for your business. A retail business needs street access and a storefront. A coffee shop or cafe needs kitchen facilities. If you’re warehousing and shipping, access to shipping facilities might be the priority, and a labor-intensive assembly business might need to locate nearest to the source of inexpensive labor, such as a college campus. Because businesses generally rent locations to begin with, check out the costs for renting in your area as well. Available Stamford CT office space for lease offers everything a business might need to run, but not all of them are situated in an ideal location. Connecticut Business Centers’ flagship Landmark Square Center is located in the most prestigious office complex in the heart of Stamford’s central business district. Our center occupies the entire 22,000 square foot fourth floor, and is fully positioned to meet the ever-changing needs of our clients. Known as the foremost corporate address in Fairfield County, Landmark Square is a short walk to Metro North and Amtrak, hotels, and some of the world’s premier financial services firms. Its location provides immediate access to I-95, the Stamford Center for the Arts and approximately 50 restaurants, which makes it the most ideal Stamford office space you can find. Connecticut Business Centers also has other locations that can suit your needs and budget; contact us today for a full listing.